Let’s be honest, the vast majority of today’s motorcycles have more performance than most riders’ have the ability to exploit. So it’s natural to assume that other factors are often more influential in purchasing decisions. More realistic issues like brand reputation, reliability, cost, and suitability can be of greater importance to buyers. One consideration that’s always been highly significant though, is how attractive a bike is to the eye. Stylish machines have always had a head start when it comes to seducing riders to part with their cash. The Italians normally get the most points and prizes when it comes to producing bikes with the most alluring aesthetics. Since the dawn of time Latin designers have possessed huge flair for delivering drop dead gorgeous two-wheelers. More recently though, the Japanese have also come up with some good-looking machines that warrant style praise. Opinions on how much a bike pleases the eye will always be subjective of course. 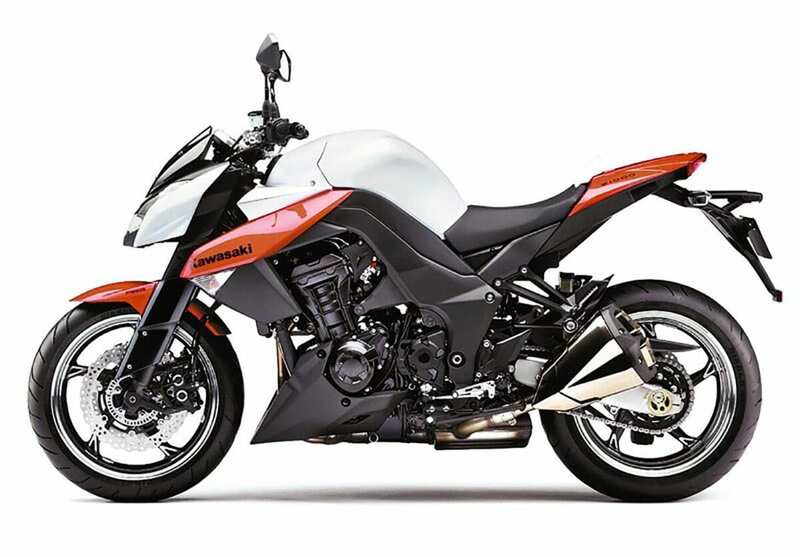 However many in the world of motorcycling consider Kawasaki’s naked streetbikes, the Z750 and Z1000, to be worthy of tributes for visual appeal. Their distinctive, attention-grabbing designs are certainly hard to ignore, and if standing out from the crowd is a key objective, then they’re well worth considering. The bigger Zed quickly developed a cult following, especially in Europe and has appeared in three guises since it was launched in 2003. The 750, which followed on a year later has also enjoyed sales success and was revamped for the 2007 season. Despite the similar make-up of the pair, our test of the two latest versions showed they’re distinct in many ways and are clearly aimed at different customers. We put the two Kawasakis through their paces to examine if their go matched their show and investigated what sort of rider their qualities suit best. Back in 2004 Kawasaki decided to go about things a little differently when it entered the budget middleweight class. Teeming with good quality bikes providing excellent value, the category was very competitive and one that mainstream manufacturers couldn’t afford to ignore. Offering something different to the selection of 600 and 650cc bikes available was important to Kawasaki, so to lure buyers towards its showrooms it took the gamble of producing a bigger 750cc model; a risk given that a) bikes in this class need to be friendly and easy-going, and b) something fitted with a three-quarter litre engine might seem a little excessive. The move paid off though, and the bike was greeted well, especially in mainland Europe where the Z750 became a massive seller. It’s been overhauled since then, and though the current machine is still very much in the mould of the original, it’s now even more capable and even more stylish. The distinctive metallic orange paintwork our test bike was finished in certainly enhances the 750’s appearance, and drew admiring glances wherever it went. It’s not often you face a series of questions from non-motorcyclists when you’re in possession of what is effectively just a run of the mill mass-produced budget bike, but several curious people demanded my time on more than a few occasions. It’s with some regret though (and I use the word regret because I’m such a big fan of its looks) that the Kawasaki’s go can’t quite match its show. I’m certainly not writing the bike off, and should add the remark is more of a reflection on the 750’s superb style more than its tardy performance. In fact if the middleweight did go as well as it looked it would be one of hell of a bike. As it is, it’s just a very good one. In saying that, one thing that needs to be put into context straight away is the bike’s outstanding value. And though there are some things about it that are a little below par, every time you consider the Kawasaki’s price, those criticisms seem less appropriate. 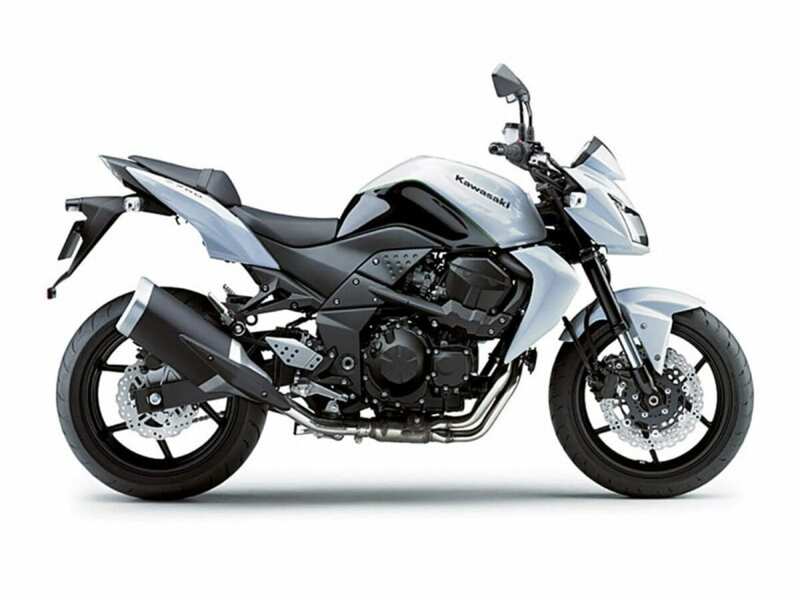 As an everyday all-rounder the Z750 is a great choice. It’s versatile and relaxed and a good choice for anyone hunting for a first big bike. I ended up using it a lot, just as I do with many sit up and beg streetbikes thanks to it being so typically agreeable. Armed with the convenience of a back pack, challenges like popping into town to reduce the length of my ‘to do’ list, or zooming off on a couple of hundred mile round trip to see friends were things the Z750 just took in its stride. Completion of most tasks often occurred after what seemed like just minutes since they began. It’s that sort of fuss-free achiever. One thing I did notice more than I have done during previous tests of the Kawasaki though, was the slightly dated feel it now has. I never really labelled the 750 as a stimulating up-to- the-minute machine, even when it was new. However this time, despite its exciting looks, it could seem a little lacklustre at times. It wasn’t often I found it to be wanting as such, but even less regularly did I think of it as being especially inspiring. Ironically, if I asked a lot of it, particularly along more curving backroads with a less than billiard table smooth surface, it would get me going a bit. But my emotions were more negative than positive. A little weighty and lethargic when being asked to change direction, the bike is also let down by its suspension when put under pressure. Again, the low price, and the fact that the shortcoming is only evident when being pushed harder over rougher roads both need to be considered carefully to put the issue in context fairly. Even so, the crude and unbalanced nature of both the forks’ and rear shock’s springing and damping make themselves apparent and a little unwelcome whenever they cause the wheels to skip and patter across the road. I’m certainly not saying it’s hazardous, and when the Kawasaki isn’t being used to its fuller extent the suspension actually feels quite plush, providing quite nice ride quality. But given that most other budget bikes have a set up that can cope better with a broader range of challenges in terms of speed and surface quality, I find this issue a bit disappointing. Another part of the bike which falls slightly short of the mark when asked to perform under greater duress is its braking. The stoppers aren’t bad as such, but the two-piston sliding front calipers can’t always bite the discs as hard as they might. I never once felt as though I wasn’t going to stop in time, but in an age where the braking systems have rarely been as impressive, the set up on the Kawasaki feels as though it’s fallen behind the times a bit. Along with the suspension it’s an area of the 750 that could do with an update. Less deserving of criticism is the bike’s engine, with the decision to use a bigger capacity than others in the class being commendable. There’s no doubt that smaller-engined rivals such as the Hornet and Bandit 600s are laudable machines, but the more relaxed nature of the Z750 is very welcome. Its extra cubes don’t really give it a power or speed advantage, but the additional torque it has means fewer gearchanges are needed to accelerate and an altogether less frantic style of progress can be enjoyed. You’re rewarded with some spirited performance if you do use more revs, but it’s nice to know doing that it isn’t essential to maintaining or even increasing your speed. It might not have the keenest response to the throttle in terms of how rapidly you can dial in more rpm, but the lazy, useful drive it does produce makes that unimportant. Another bonus is though the midrange surge and more hurried top end performance are impressive and stimulating enough, few will feel especially intimidated by them. The Z750’s engine certainly isn’t slow, but it’s definitely not scary. There’s a nice, friendly balance to it. 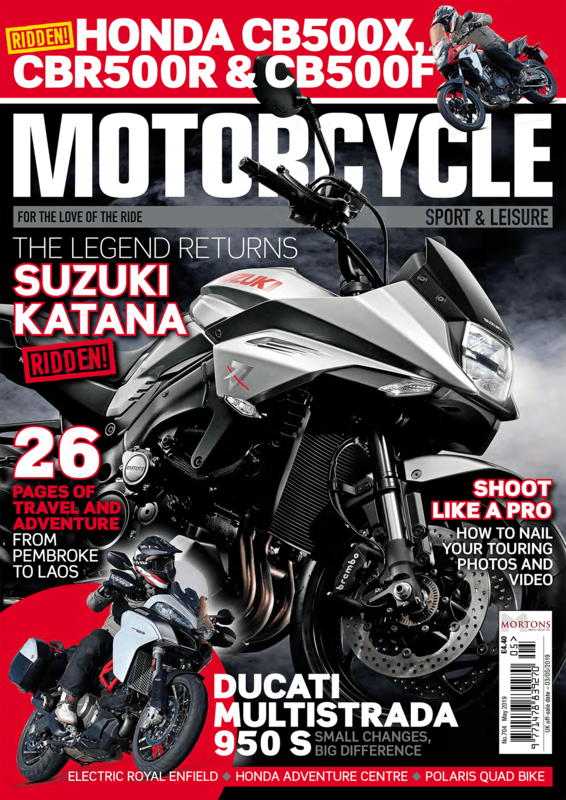 You won’t be fearful of tackling higher mileage runs on the Kawasaki either. OK, its naked design does leave you more exposed to the elements, but the protection from the tiny headlight fairing is enough to take the edge off the wind’s force. With a roomy riding position that distances the points of contact well enough not to feel cramped within a few hours, and a seat good enough to cope with the same duration, touring is definitely an option on the Z750. The 170-200 mile fuel range facilitates travelling nicely too, with basic instrumentation including a clock and fuel gauge adding to the convenience. A centrestand would have been nice, and extra security for the pillion might be a preference on longer runs. Judged for what it is though, and bearing in mind the price being asked for it, the Kawasaki deserves to be rated well. It can perform many roles and execute them well. What’s a shame is that it’s let down by a couple of unfortunate shortcomings, and without doubt a suspension and brake upgrade would have it scoring quite a few more marks. Then it would go as well as it looks. Of the three versions of Z1000s produced in the modern-era this, the latest one is easily the best and most invigorating. New to showrooms for this year the big-bore naked bike is thrilling to ride, and up to a point pretty practical. It’s a machine I first rode only a few months ago and was impressed with it straightaway. The Z1000 is competing in a very tough class, and with excellent similarly-priced rivals like the Triumph Speed Triple, Aprilia Tuono, Ducati Monster 1100, and Honda CB1000R (and that’s just some of them), it’s got a tough job on its hands. However, though it can’t quite match the character of the Euro-built bikes, it still has enough going for it to warrant serious consideration. There’s no doubt its style is more Japanese than anything manufactured closer to these shores. Even so, the Kawasaki is still a real eye-catcher. Its aggressive lines and distinctive detailing set it apart from other bikes, helping it to stand out from the crowd. I especially liked the angular bodywork, outrageous looking flared exhausts (even if I seem to be in a team of one on this), and clever fork shrouds. Just as attractive is the performance of the 1043cc inline four cylinder engine, even if using its fuller potential requires experience and discipline to do so safely – not to mention a bit of brawn. A broad and linear spread of power, which peaks at a heady 136bhp, makes the motor usable enough and it can pull bigger gears at all rpm quite easily. Even when dawdling around town at very slow speeds, there’s enough strength at lower revs to use the top two ratios and still get clean and solid drive when you open the throttle. Out on more open roads the electronics of the bike usefully calm any excessive greed to get going urgently unless the engine is revving freely. And any sudden winding back of the twistgrip is controlled by the bike’s ECU to govern the amount of fuel/air mix filling the bores more sensibly. But make no mistake the Kawasaki’s engine is still very strong and very powerful. Keep the revs higher when using the gearbox and you’re rewarded with a highly stimulating rush. Flexible it may be, but the engine still gives its very best when it’s spinning harder. This sort of delivery at times makes the Kawasaki feel even faster than it actually is. And though that might sound a bit scary, I myself found it welcome. Quite apart from it producing lots of thrills, because you’re being provided with a realistic sensation of speed you rarely get seduced into riding faster than you want. Quite a few of today’s very powerful engines aren’t working very hard most of the time, and can lull you into thinking you’re going nothing like as quickly as you actually are. That deception can sometimes can catch you out and cause inappropriate pace in the wrong places, perhaps leading to photographic evidence of your errors. So, very strong the Z1000’s engine might well be, but at least it gives your mind a good idea of what it’s dishing out. Your body gets a fairly certain reminder too. That headlight fairing might look like it could make life a little easier for you as you blast through the atmosphere, but it’s actually positioned far too low to offer any real shelter. Travel quickly on this bike and your upper body will have to suffer virtually all of the wind-induced strain. Life’s not too bad if you can get a break from the physical punishment every so often as you can on a more winding back road. But try holding a high pace for a sustained period, as you would on a motorway, and you’ll soon want to back off or even stop. If you want to do a long trip on the Kawasaki then you’ll have to be either fond of some pain, or pace yourself more carefully. It’s a pity really as the layout of the footrests, bars and seat is quite relaxed. In saying that, those that are very lengthy in the leg might find their feet elevated a little too high for long range comfort. But I do suspect the majority will find the Z1000 comfortable enough, as long as they keep their right wrist action under control. Failure to do that will result in enforced stops anyway as the combination of the bike’s thirst (around 34mpg when pushed), and its 15 litre tank equate to the fuel light coming on through the clocks’ yellow face as little as every hundred miles. When I first rode the Z1000 for MSL I enjoyed the bike enough not to let this ‘restriction’ worry me too much. But this time when I was once forced to divert in search of a fuel stop, not that far from reaching the comfort of my home following a long day, I was less content to dismiss it. Ride more carefully and you should manage to eke out a more acceptable 140 miles. I was also quite critical of the wooden feel from the tyres during the last test, but as the temperatures were much higher this time they offered quite a bit more feel and confidence. The improved communication allowed me to explore more of the Kawasaki’s handling potential, and I was quite impressed. Quite big and hefty, the Z1000 is nevertheless quite easy to manhandle. The chassis geometry gives it nice steering and an impressive level of stability, and though there can be the odd bar shimmy when accelerating hard over bumpy roads, it never gets worrying. Wide bars give you all the leverage you’re likely to need, even when you need to haul the bike through a series of sudden and repeated direction changes. There’s quite a firm feel to the suspension in the initial part of its stroke but when it’s loaded up it tends to ‘give’ a little and compress more easily. It’s a sign of it being a little crude in the way it’s set up, but all in all I thought its action was good enough. It certainly coped well with the variety of environments I used the bike in, and I never felt tempted to adjust it. Though it is good to know it can be fine tuned a little. Braking power isn’t something I have any qualms about praising to the full. The radial calipers have great strength and sufficient feel to give you faith in being able to stop, even sharply, in full control. However the decision not to import the ABS version of the bike is a bit questionable. Kawasaki says naked bikes fitted with ABS have not sold well in the past. I just think it would be nice to have the choice. In summing up, the Z1000 is an impressive machine. Naked bikes from Japan are usually impressive but lack a certain amount of X-factor to win you over in the way British, Italian, or even some German bikes can. This one is different and has just the right level of attitude to make it as endearing as it is efficient. The fuel range and lack of protection limit its versatility to some degree. However it’s still capable of multi-tasking to a degree, and as an entertainer for the weekend it’s up there with the very best. Verdict: Which is best for you? The two naked Zeds have much in common. Quite apart from the name on the tank their striking designs will make any owner proud. Stunning to look at even at a distance if you get in close there’s plenty of evidence of attention to detail, and many of the bikes’ components are shaped and machined artistically and attractively. They’re both quite versatile machines, though as each is restricted in some way, they can’t be judged as being complete all-rounders. The absence of any serious wind protection naturally limits them more than faired bikes when it comes to clocking up large daily mileages. Even so, as long as you use your loaf and ride them in the right place and at the right pace, you’ll be fine. It should be noted that pillions aren’t too well catered for. The key difference between the pair is their relative performance, though that issue isn’t as simple to debate as you’d expect. The Z1000 is the better, or to be more precise, the more accomplished machine overall. The 750’s weaknesses with its suspension and brakes make it inferior to its bigger brother. But you’ll only notice these ‘drawbacks’ if you ride the bike harder and over rougher surfaces. Adjusting the rear shock makes things a little better but the bike’s handling still remains flawed under pressure even if you do. If you’re the sort of rider these issues would concern then you should arguably go for the Z1000. However if you want to ride the bigger variant hard then you’ll have need to endure other ‘issues’, and while the actual performance of the bike will both impress and thrill you, the lack of wind protection and fuel range could prove to be annoying. Keep the pace of the 1000 in check more and neither of those factors will be a problem. Its stronger engine gives it a more flexible and laid back feel too. But then again you might as well have the 750 if you’re rarely in a hurry as it’s a really good bike when it’s not ridden at 10 tenths. The biggest advantage of the smaller sibling of course is its price. It’s a whopping £2500 less to buy than the 1000 in the first place and will be quite a bit cheaper to run. Fuel consumption on the bigger-engined model is appreciably heavier and could equate to spending around an extra £350-500 or even more over a 10,000-mile year. Chuck in a few more bills for consumables like tyres, brake pads, chain and sprockets and the annual costings could reach over a £1000. It’ll be pricier to insure too. If you’re a bit new to biking, I’d suggest the 750. It’s a good first bike available at a great price. Any of the shortcomings in its performance won’t be noticed by a newcomer and the reduced spending would be welcome I’m sure. If you’ve been on the scene a bit longer the stronger-performing 1000 is certainly worth a look. It’s far from perfect and isn’t so good at tackling longer runs. But there’s just something a bit more special and engaging about the litre bike. For me it has a much greater appeal than the more ordinary 750 and that’s something that I, at least, would be willing to pay for.